Businesses are being encouraged to educate at-work drivers of the risks associated with failing to adequately check blind spots before carrying out a manoeuvre. Figures published by the Department for Transport show that during 2012, a total of 866 vulnerable road users were killed on the UK's roads, while a further 13,781 were seriously injured. Steve Clarke of The Fuelcard People, which offers advice to customers on duty of care responsibilities, said: "It is imperative that businesses ensure their staff are fully aware of their responsibilities to act in a safe and sensible manner every time they get behind the wheel of a vehicle. 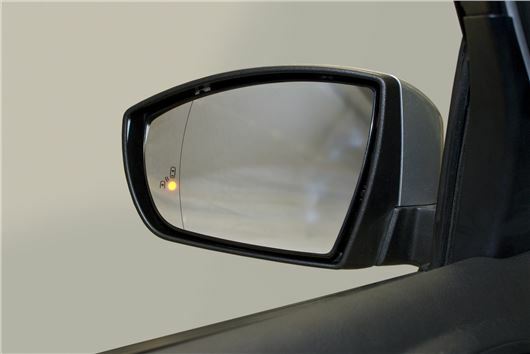 "This means understanding the importance of blind spots, as 75% of collisions reported up and down the country each year take place at or near junctions, where drivers may have had their vision obscured." Research and information officer at Brake Laura Woods said: "Addressing and managing the risks caused by blind spots, and ensuring drivers are manoeuvring with the utmost care, is essential. "This report sets out vital steps managers should take – whatever types of vehicles they run – to minimise blind spots and ensure drivers know how they can best protect vulnerable road users." Brake's report reveals the most common instances in which motorists need to be aware of what is happening in their vehicle's blind spots. These include when reverse parking, pulling up at the side of the road, when overtaking other vehicles or passing cyclists and when pulling away from junctions. In order for fleets to reduce the risk of their drivers being involved in accidents with vulnerable road users, there are a number of technologies that are now available to help achieve this goal. They include the use of cameras to provide drivers with a full 360-degree view around their vehicle at all times, as well as wide angle and blind spot mirrors, automatic side mirrors that move to also cover blind spots when turning, and rear, front and side sensors to detect surrounding obstacles.